Wow, well what a fantastic day we had at Ladies Kennel Association. This is a lovely show and a bit of a mini-Crufts, some nice trade stands and a Christmas atmosphere. The entry was huge - over 200 - so we really had no preconceptions about what would happen, it was just a fun day with the girls. Rumor was up first, handled by Yvonne, in Junior then Yearling as a seen dog. There were 14 and 15 entries respectively, so big classes and a strong line up, so when Rumor was pulled third in Junior I was delighted. She also made the cut in the Yearling class - I was very proud and over the moon that Team Dreamwork was up to 4 for Crufts 2016. I'd entered Drama in graduate, a non-qualifying class, and I was delighted she stood nicely and showed well. but nothing for us this time, although she was still a little raw for non-age classes, it just meant the girls were not competing amond themselves. Muse was last, one of 19 in Post graduate and 23 Limit! It was her first champ show since the litter and although I was much more confident after our successes at EABCC, I didn't expect anything. So I was delighted to make the cut in PG, and overjoyed when that cut turned into 3rd place, qualifying Muse for Crufts too! 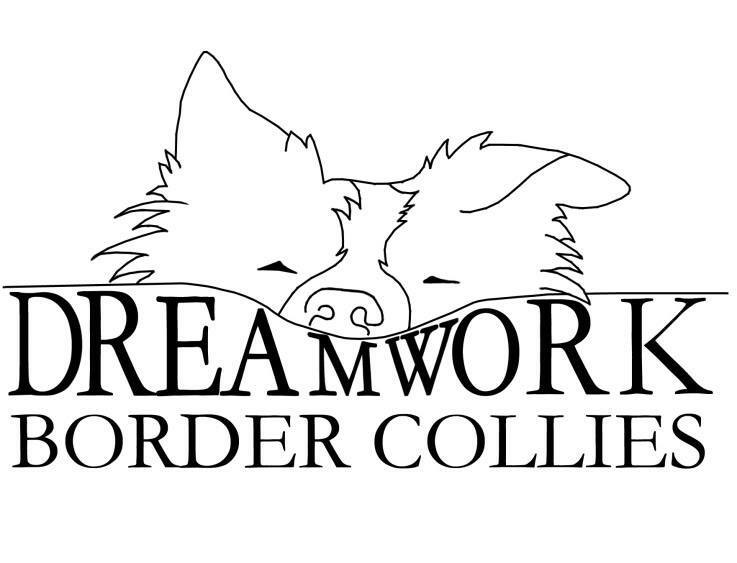 5 Dreamworks at Crusfts 2016. She even made the cut in a large, strong Limit class too - brillliant day all round!